How did a largely unregulated digital currency like bitcoin grow to a multi-billion dollar market cap ? Bitcoin is currently the world’s leading cryptocurrency, pioneered by Satoshi Nakamoto in 2009. While traditional currencies are issued by banks, cryptocurrencies operate under a decentralized model in which advanced encryption techniques regulate the generation of units of currency, and verify the transfer of bitcoins between accounts. All bitcoin transactions are recorded on a public ledger known as the blockchain. Bitcoin’s blockchain can be accessed at any time by anyone on the Bitcoin network. In the past, digital currencies would create issues of double spending, counterfeiting, and debasement. Because of the blockchain, every cryptocurrency transaction can be carefully tracked. Bitcoin’s blockchain record is not stored on a single set of central servers controlled by one entity. Instead, it is spread around the globe using a vast network of private computers that simultaneously store data and execute computations. Each computer in the network serves as a node of the blockchain network and contains a copy of the entire bitcoin transaction record. So, when you buy or sell bitcoin, that transaction is recorded and updated on all the computers in the network. This means that your transaction is verified and cannot be changed. As more developers and investors jump into the space, we can expect to see more exciting innovations. 4. How do I buy bitcoin and where do I keep it? Buying bitcoin can be confusing, most of the platforms are difficult to navigate and not necessarily consumer friendly. One of the fastest, easiest and most secure ways to buy bitcoin (along with 30+ other other currencies) is by using Uphold. We are a digital money platform that allows members to easily buy, hold, send and sell bitcoin. Membership is free, and the platform’s high-level security measures ensure that all personal and financial information is completely safe and secure at all times. One advantage of using Uphold is that you don’t have to be intimidated by the cost of bitcoin, or initiate complicated buy/sell orders on a trading site. 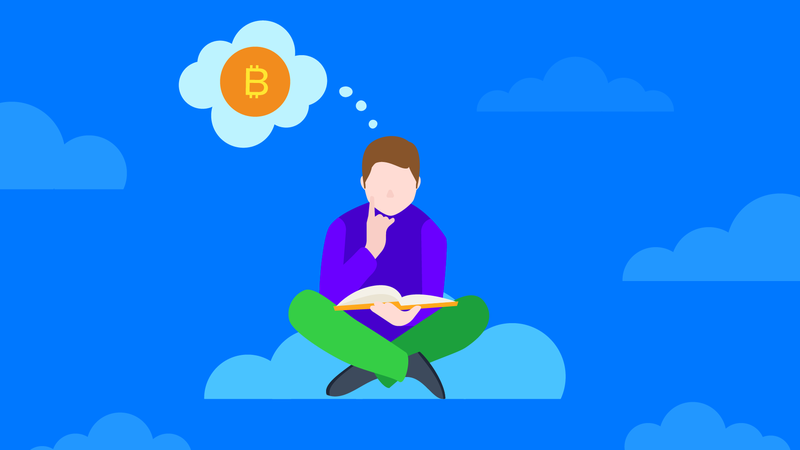 With Uphold, you can easily buy fractions of a BTC, starting with as little as $50. Bitcoin has attracted attention due to the rapid increase in its value over a relatively short period of time. At 12 years old, Erik Finman invested a $1,000 check from his grandma on bitcoin in 2011. Today, Erik’s investment in bitcoin turned him into an adolescent multi-millionaire worth over $6 million. The rapid appreciation in value indicates that bitcoin has become a speculative asset, subject to highly volatile and unpredictable price swings. Although it has risen over a thousand percent in the past year alone, it has also dropped a third or more of its value in a single day. In fact, you can see live updates of the current market price with resources like Coinmarketcap.com. If you’re considering investing in bitcoin, the potential profitability can be exciting, but exercise caution, not to let the past be a guide to the future. Volatility often means high risk, so it’s important to take caution in deciding when, if, and how much, to invest. To help safeguard against bitcoin’s volatility, many members use Uphold to instantly move between bitcoin and into one of the more stable fiat currencies, such as the U.S. Dollar or the Japanese Yen. As prices and volatility stabilize, members can then return the funds to their bitcoin cards. There is a transactional cost known as a network fee associated with all Bitcoin transactions. Network fees are paid to miners on the blockchain who verify the transactions. Just like with conventional currency, staying informed about the security of your money is key. It’s important to carefully research the reputation of any wallet you use. Are they transparent? How do they protect your funds? Uphold uses Authy Two-Factor Authentication to provide a secondary level of verification for members wallets. Bitcoin transactions are irreversible, and they can only be returned by the individual/address receiving the bitcoin. In order to protect yourself against losses, only conduct transactions with people and businesses that you know and trust. To send bitcoin safely, it’s important to double check that the recipient and the amount are correct and that the recipient is aware of what the payment is for. It can be helpful to add a note in the text field, similar to a note in a check. Bitcoin is not linked to traditional bank accounts, but the blockchain is completely public and it includes details of every transaction ever made in bitcoin. You can see where each and every bitcoin is at any moment. As bitcoin’s value skyrockets, skeptics have suggested that the entire cryptocurrency is nothing more than a speculative bubble. While the future of cryptocurrency is unknown, the goal of bitcoin is to allow societies to store and transact value without any centralized bank or financial institution. Since its inception, the function of bitcoin has always been about solving a problem created by banks. It may take years for bitcoin to achieve widespread adoption as a global currency. In the meantime, its rapid growth has proven that society is ready for a decentralized currency and that bitcoin is, undoubtedly, here to stay. If you’re ready to get started, creating an Uphold account is easy and takes just a few minutes! This does not constitute investment advice. Please consult your financial professional if you have questions about investing in cryptocurrency.